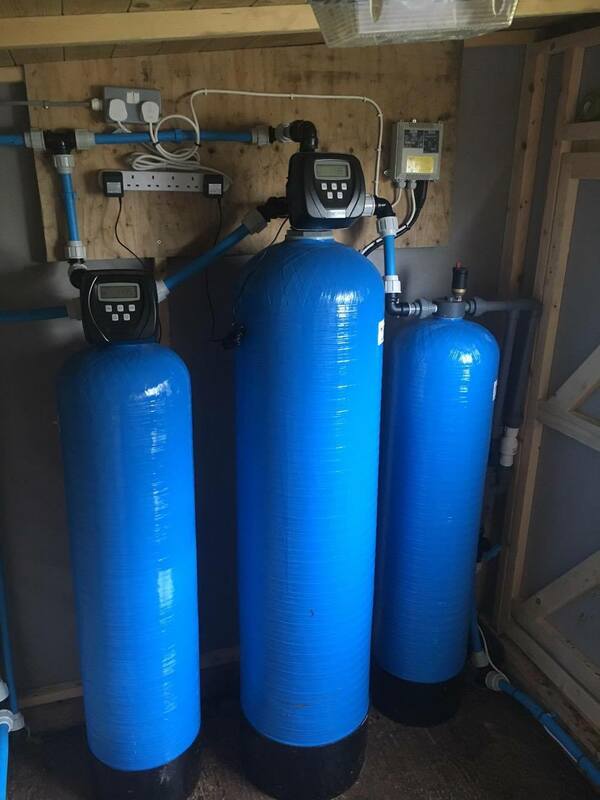 A customer came to us with a requirement for water filtration but was worried that a commercially supplied shed would not be strong enough in his very exposed location. 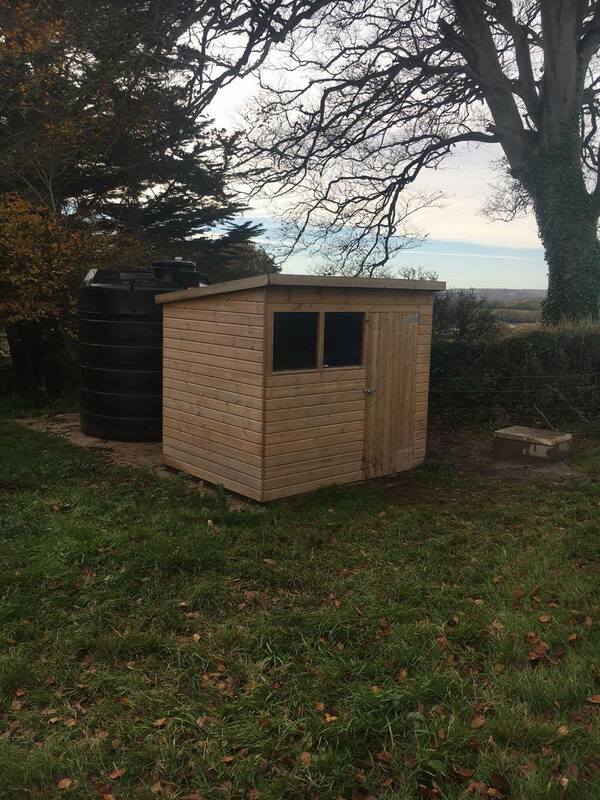 Graham and Preston built a bespoke heavy duty shed that was up to anything the weather could throw at it. If you would like any further information on the range of water filtration services, including sheds! please ring 01726 824837 and ask for Steve or Mark. Aquasource (SW) Ltd are offering a discount on all water sampling related to Farm Assurance schemes. Water sampling and analysis is carried out to all relevant industry standards. If you would like a water sample carried out please contact Aquasource (SW) Ltd on 01726 824837 or email sampleresults@aquasourceltd.co.uk . A new system installed to replace the existing mains supply feeding around 200 cattle as well some private houses. 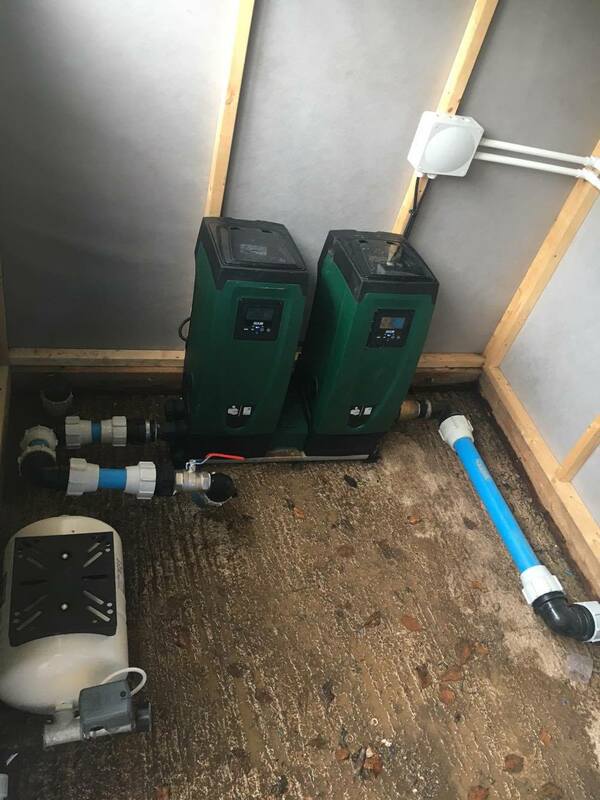 The system is installed in a new shed, complete with water filtration, potable storage tank and twin variable speed booster pumps, ensuring perfect water pressure at all times. New Install for Private Customer with low mains water pressure.